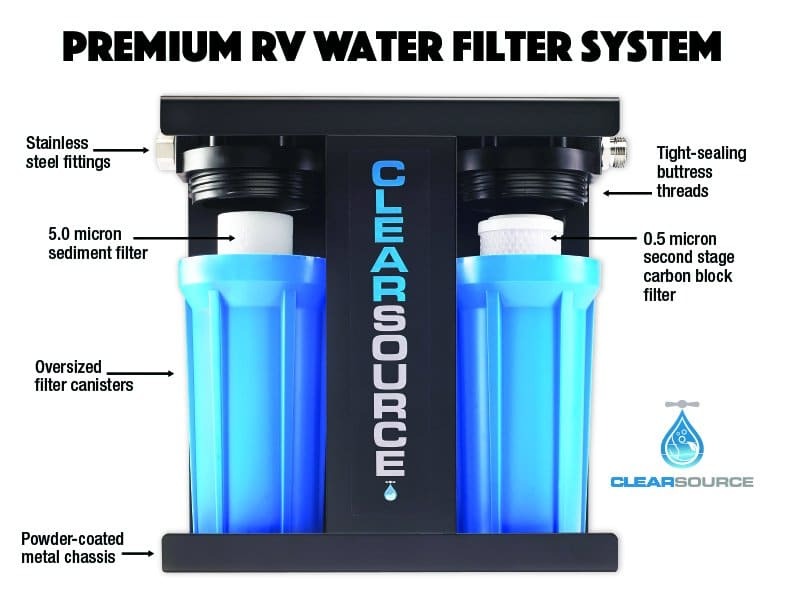 I was contacted recently by an RV water filter system manufacturer called Clearsource. 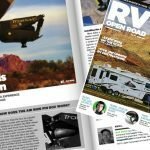 Being a newcomer to the market, they were looking for feedback on their RV water filter system. I headed over to the Clearsource website to take a look. 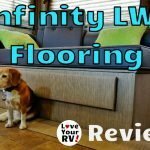 Once I saw the units apparent build quality I was intrigued enough to accept their offer of a free review sample. When I opened the box, I was surprised to find the filter system completely assembled and pretty well ready to hook up. All I had to do was make sure the twin filter canisters were tightened up using the supplied plastic wrench. The build quality is as advertised. Stainless steel hardware versus plastic is used for the water connections and piping between canisters. The twin canisters are made of thick heavy duty plastic with deep buttress threads for a tight seal. The water filter system is mounted on a powder coated metal stand. I was impressed. The unit is built to last. To test the unit out, I hooked the Clearsource water filter system up to the campground water supply for a flow test. 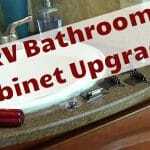 I was happy to see no signs of decreased water flow or pressure on any of my RV water fixtures. As far as water filtration goes, I must admit I’m no expert here so will have to go on what is quoted on the website. They use a dual stage system. One filter is a 5 micron sediment filter and the other is a .5 micron second stage carbon block filter. 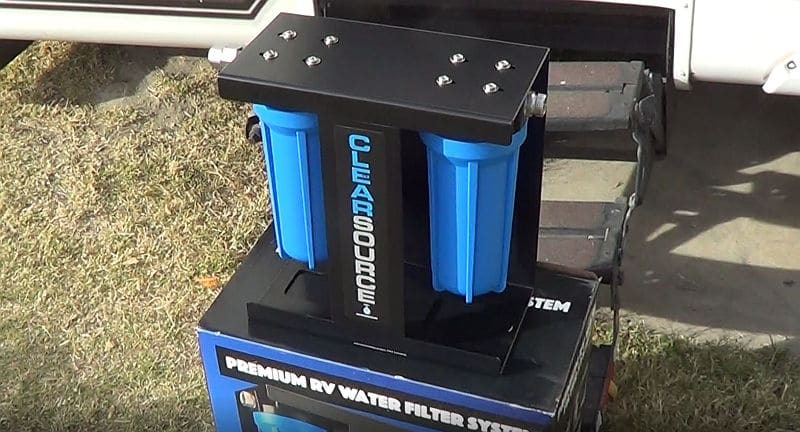 Clearsource filter systems treat your water in two stages. The first stage removes dirt, silt, and sediment. The second stage uses a carbon block filter element to reduce bacteria and cysts like Giardia. The filters are capable of processing 2000 gallons of water before recommended replacement. 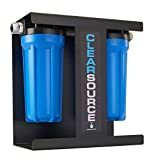 Replacement filters are available on Amazon or from the Clearsource website. Current price $29.95 for the pair. When I saw the shape and thickness of the Clearsource water filters stand a thought instantly popped into my head. Mount it on the trailers rear bumper. Mounting it there would have a couple of advantages for me. One, it would save valuable storage space inside the rigs basement compartment. Two, it would be near my 60 gallon RV freshwater tank’s filler location at the back of the rig. My primary need for filtered water is during the winter season when we dry camp extensively all over the US southwest. Much of the water we get is out of wells, gas stations, truck stops, rest areas, RV sanidump locations, etc. Sort of wherever we can conveniently find it. Often it’s not the most exceptional quality. 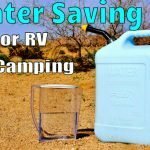 I’ve been using those cheap little throwaway inline RV water filters. The Clearsource dual stage will be a vast improvement. For mounting the unit on the bumper, I used a pair of 4-inch square shaped U Clamps. I repurposed the ones previously used to attach the OEM spare tire holder. 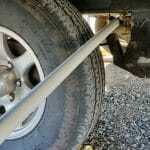 I no longer use it, long ago moving the tire to the truck bed. I plan to upgrade to stainless clamps, washers, and Nylock nuts when I can next pick some up. Possibly a flat piece of metal across the top to spread the weight out even more. All I needed to do was drill four holes in the bottom of the water filter’s metal stand and bolt it in place. I also added a few hardware bits I had kicking around the RV to prevent road grime from getting inside. 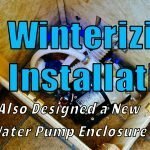 I used my winterizing blowout plug on the input port and hose bib Y connector on the output. Finally, I wrenched the canisters on good and tight and was ready to hit the road for a test fill. I stopped off at an interstate rest stop and hooked things up to the free water fill spigot, and it all worked as I’d imagined. We hit the boondocks to camp with a full fresh tank of clean filtered water! 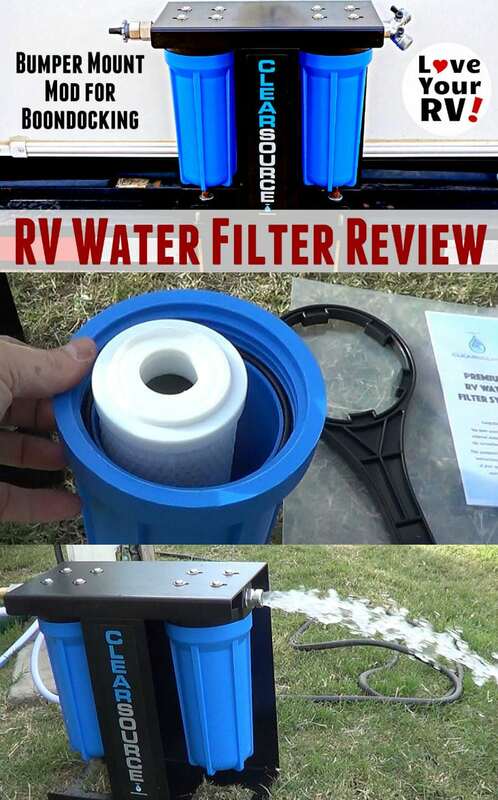 I loved everything about the Clearsource RV water filter system but did encounter one problem. It had to do with the swivel nut on the input port. 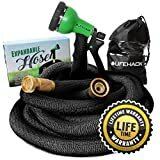 It turns out it is threaded a little too deeply for my NeverKink RV water hose. The hose threads bottom out before the end compresses the internal rubber washer in the water filter’s female swivel connection. The result was significant leakage. I solved it by adding a second washer doubling them up, no leaks. 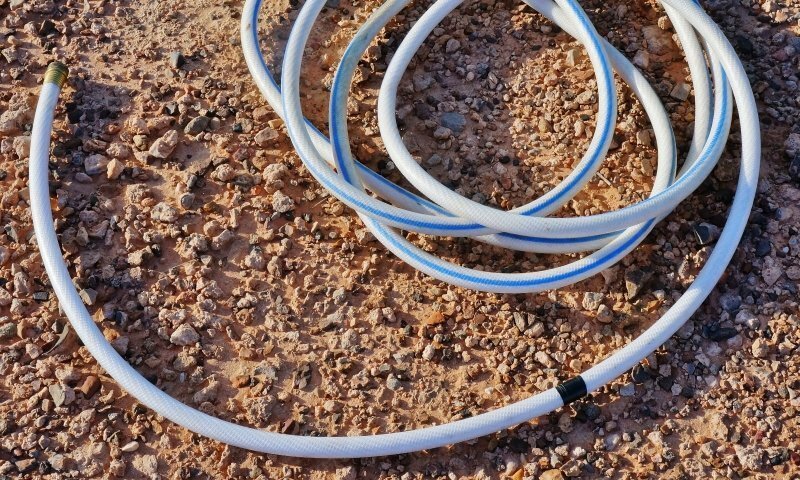 I’ve informed the company of the problem with this popular RV water hose. Actually, the swivel nut is not yet available (they included it in my review sample only) and is coming out for the new models in January, so I’m sure they will solve it before release.